The Beatles Song of the Day is Don’t Pass Me By. Don’t Pass Me By is on side 2 of The White Album. 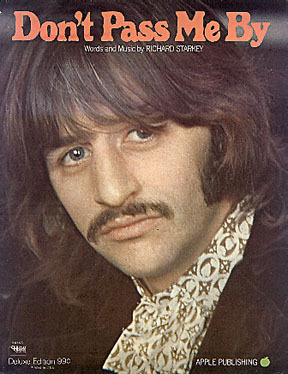 It was the first composition written totally by Ringo Starr. The song was written in India. Ringo had been kicking this song around since shortly after joining The Beatles in 1962. Titles it was called before Don’t Pass Me By- were Ringo’s Tune and Some Kind of Friendly. It is a country and western tune with a bluegrass fiddle included. It was also a song that supposedly had a hint in the entire ‘Paul Is Dead” episode- with the lines ” I’m sorry that I doubted you I was so unfair. 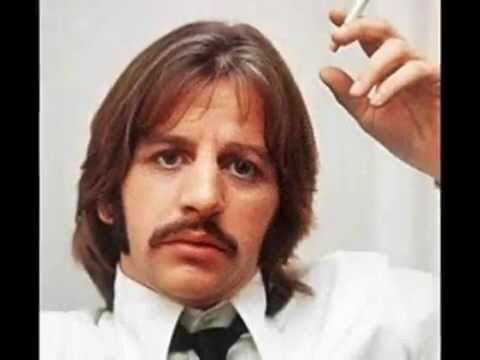 You were in a car crash and you lost your hair.” As Clint Eastwood said in one of his Dirty Harry movies “A person has to know his limitations” and Ringo knew he wasn’t a songwriter. He was great at what he was good at playing the drums for The Beatles and being the glue that helped to keep them together and give them the great chemistry that had. It was released as a single in Scandinavia and went to #1.Ringo Starr: vocal, drums, sleigh bell and piano: Paul McCartney: piano and bass. Jack Fallon-violin. Produced by George Martin. rating ** stars out of 5 stars. recorded on June 5,6, 12 and 22nd, 1968.
was never released as a single. the song was ranked by critic Bill Wyman as #192 out of 213 Beatles songs- on the other lists it made no one’s Top 100. Does it mean you don’t love me anymore? And why I’m by myself. Don’t pass me by, don’t make me cry, don’t make me blue. ‘Cause you know darling, I love only you. Don’t pass me by, don’t make me cry. Just waiting to hear from you”.